Rome is the city around which history of the world revolves almost since its founding. And there is much to see and do there for a limited time tourists usually have. 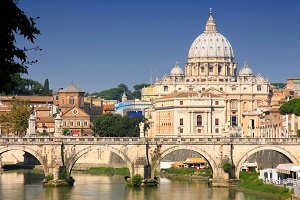 Rome guided tours are many, but only some of them stand out among others in terms of quality. For instance, there are many Colosseum tours on offer, but only the Colosseum Underground tour grants a complete overview of the grand amphitheater. Exclusive Early Morning Vatican Tour and Saint Peter’s Basilica Dome Tour are just a few private Rome walking tours showing you all there is to these attractions. To make the most of your time and money, you need to choose among Rome walking tours and private guided tours in Rome with care. Among those, there are many free attractions to visit and free things to do in Rome. But to find out how to do those best, guided walking tours of Rome may help. Trip Indicator is a service whose travel experts assist holidaymakers in making the best decisions about their holiday. The parameters we consider crucial are the quality of information, required time and the feedbacks of former participants. Feel free to take a look at what we suggest to find the best walking tours in Rome for yourself, your family and friends. An evening walk covering several top attractions originated during different stages of the history of the Eternal City. A chance to admire some of the top artistic achievements of Rome and learn related stories. Strolling along narrow cobblestone alleyways in search of classical, Renaissance and Baroque structures and works of art. Admire the city of Rome as the sun sinks behind its hills and roofs. Navigate through narrow streets to get between famous and interesting points of interest. Admire works of art and beautiful structures by famous artists and architects, including Bernini and Borromini. A walking tour in Rome in a small group. A certified and friendly guide leads the guided tour. "excellent way to see the sights with less of the crowds..."
"Tour was well organised and I would definitely recommend it"
"We saw a ton of sights, learned a ton of history all in a 3 hour time frame." The guided tour caters to people that are in Rome for the first time, allowing them to learn to navigate through the streets. Joining the walking tour is an excellent opportunity for learning a lot about the history of the city and interesting facts about its top points of interest. The tour is especially recommended to travelers interested in history, art and culture. A gastronomic tour of the capital of Italy introducing some of the finest Italian specialties. The walking tour takes visitors from the Centro Storico to Trastevere, a neighborhood famous for the best restaurants in the city. Travelers have a great opportunity to familiarize themselves with first-class Italian wines on this guided tour. Walk your way through the center of the city and the Trastevere neighborhood in search of exceptional dining. 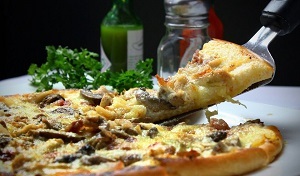 Taste cheese, pizza, fried fish and other specialties of the Italian cuisine. Learn to pair Italian wines with the delicious food for the best dining experience. An expert tour guide passionate about Italian gastronomy. Tastings of food and wine. A walking tour in a small group. "Great way to discover foods and wines of Rome..."
"This tour was a high light of our trip to Rome." "Take the tour. You will not be disappointed!" If you consider yourself a gourmand, this tour may as well be the highlight of your Roman experience. 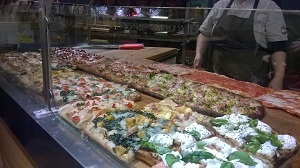 The walking tour is particularly recommended to fans of cheese, gelato, fish and pizza. Wine enthusiasts should benefit of a big pleasure by joining this activity. An informative guided tour about some celebrated culinary specialties and about the best places to eat in the capital of Italy. The activity takes place in the historic center, revealing some interesting places and famous attractions of Rome. A walking tour introducing off-the-beaten paths and culinary tips. Learn where to find several best places in the city of Rome to eat. Familiarize yourself with popular specialties, such as pizza, cheese, zucchini flowers and rice balls with mozzarella and tomato sauce. Drink some of the most exceptional Italian wines. Entertaining and knowledgeable tour guide. A selection of food specialties and tasty wines. "The guide was wonderful, really nice and helpful." "Not only did we have great food and drinks, but we also enjoyed the wonderful history..."
If local food is one of your passions while visiting a destination, this tour is just right for you. The activity offers a great value for gourmands and aficionados of the Italian cuisine. Fans of wine and history should book the walking tour. An interactive way for travelers to familiarize themselves with Colosseum, one of the most iconic attractions in Europe and the world. The virtual reality tour, accompanied with an audio guide, reveals the events that took place in the arena during the Roman imperial era. 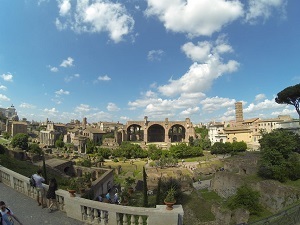 The combined ticket grants a visit to the Colosseum, Roman Forum and Palatine Hill. Experience Colosseum and its arena as if living in the imperial times of ancient Rome. By means of the augmented reality and the audio commentary, you'll find yourself in the world of gladiatorial duels and visit the underground passages of the arena. Visit the Colosseum, Palatine Hill and Roman Forum at your leisure afterward. A Virtual Reality headsed with the complimentary audio commentary in several languages. Priority entry tickets for the Colosseum, Palatine Hill and Roman Forum. "This was an amazing experience." "Such a wonderful technology, I highly recommend it." "I liked viewing the Colosseum as it used to be in the Roman Empire." 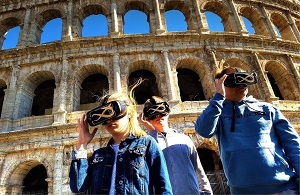 The Virtual Reality tour is a rewarding activity for people interested in the history of the Roman Empire and the Colosseum itself. If you are curious about how the spectacles looked like in ancient Rome, you shouldn't miss this opportunity. The activity is suitable for people who don't have much time since it provides fast-track entries to the Colosseum, Roman Forum and Palatine Hill. A visit to the areas of the Colosseum off-limits to the general public, including the quarters of gladiators and areas where animals were held. A guided tour elaborating backstage areas of one of the most-visited monuments all over the world. A ticket to the Colosseum, Forum and Palatine Hill. Feel as gladiators used to while entering the arena of the Colosseum through the same gate. See secret areas that were essential for running the entertaining facility. After the Colosseum, visit Roman Forum, the commercial and political center of ancient Rome, and Palatine Hill, a site where luxurious Roman villas used to be in the past. An expert guide specializing in history. Complimentary headsets for hearing the guide without effort. "The Forum was awesome and I highly advise no one to miss this area of Rome." The tour is tailor-made for travelers wishing to learn as much as possible about some of the most iconic attractions of Rome. Travelers hungering for knowledge about the Roman Republic and, afterward, Empire should especially enjoy the guided tours. A privileged entry into the Vatican Museums and Sistine Chapel before the official opening times. A tour of the extraordinary collection of the museums that encompasses works of art since the antiquity. A visit to the Saint Peter's Basilica, one of the most lavishly decorated religious structures in Christendom. Visit the Vatican Museums in a small group before other visitors arrive. Have a privilege to admire works of art of the Sistine Chapel before other visitors arrive. Visit the Saint Peter's Basilica, the most important religious structure of Catholic Christianity. Entry to the Sistine Chapel and the Vatican Museums before the official working hours. Admission to the Saint Peter's Basilica through a secret entrance. Affable and professional tour guide. "This tour was awesome - definitely worth the early morning wake up call." "What we saw was amazing." Joining the guided tour is highly recommended for every traveler in Rome. 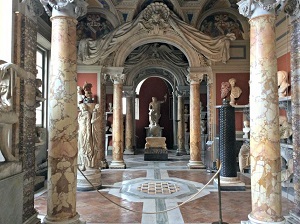 The Museums of Vatican display an enormous collection of works of art anyone interested in history and art should visit. A guided tour introducing the most iconic points of interest of Rome - Vatican, Colosseum, Palatine and Forum. Skip-the-line entries to the Vatican Museums, and admission to the Colosseum and other related attractions. A comprehensive overview of the city during Roman and Christian eras. Visit the Museums of Vatican, Sistine Chapel and Saint Peter's Basilica in search for stunning works of art and knowledge in Vatican. Have a tour of the Colosseum, the biggest Roman amphitheater in the world. Learn about the significance of religion and commerce in ancient Rome during a visit to Forum. A priority entry to the Vatican, saving you a great amount of time. Admission to the Colosseum, Roman Forum and the Palatine Hill. Complimentary headphones for hearing the tour guide with ease. "The guide was patient, funny and interesting." "Everything was very well organised and efficient." "It's a full day tour, so be prepared, but it was well worth the money." The tour offers a great opportunity for travelers with limited time to acquaint themselves with the top attractions of Rome. Especially recommended for first-time visitors and those unfamiliar with the history of the city. Devotees of art and culture should consider joining the tour. Pantheon is a monument to the glory of the Roman Empire and the perfectly-preserved structure since the ancient times. Being initially devoted to the gods of Rome, the Pantheon is the Christian religious structure now. Besides, the stunning architectural example of Rome is a resting place of illustrious artists and officials. Visit the Pantheon, an ancient temple devoted to Roman deities featuring ideal proportions and a famous Oculus allowing light to illuminate its interior. Learn the history of the former temple and the present church, while exploring its stunning exterior and interior. 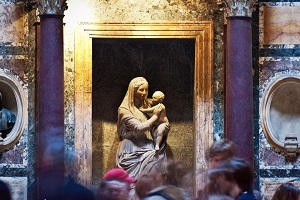 Find out what prominent kings and artists have eternal resting places in the Pantheon. A professional, friendly and knowledgeable tour guide. "The tour guide was super nice." "Very informative, very intriguing and the price is great." "We really enjoyed the tour and would recommend it to others!" Pantheon is one of the most iconic structures in Rome, and this tour elaborates its significance into details. The tour is highly recommended to travelers curious about art, architecture and history. 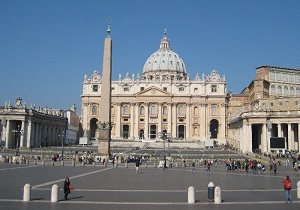 A guided tour of the Saint Peter's Basilica in Vatican in a small group. Access to the dome of the religious structure for admiring the panoramic views of Saint Peter's Square and the city of Rome. Admission to the crypt where various popes have eternal resting places. Join a guided tour of the Basilica of Saint Peter and access areas normally closed to the general public. 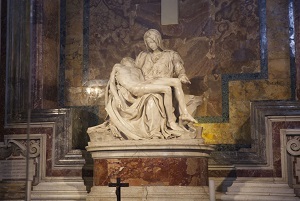 See stunning masterpieces of art, including Michelangelo's "La Pieta" and Bernini's bronze baldachin. 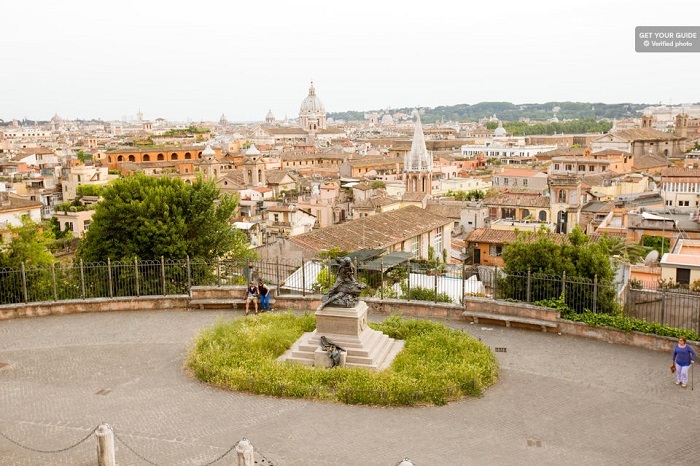 Visit an underground crypt and climb the dome to admire the sweeping views of Rome. Admission fee to the basilica's dome with access to the elevator that takes you to the first floor included. A certified and knowledgeable English-speaking guide. "The guide was superb and the views fantastic." "...cannot recommend this tour enough,..."
"This was an excellent tour and exceeded our expectations." The tour is a suitable activity for every devotee of art. Whether you are a Christian believer or you follow a different religion, you should strongly consider booking the tour. To access the dome after the elevator takes you to the first level, you need to be in a good physical shape. A guided tour of Castel Sant Angelo and Saint Peter's Square revealing intriguing historical facts and fascinating works of art. Before becoming Castel Sant Angelo, the site of the fortress used to be the mausoleum of the Roman Emperor Hadrian. An elevated walkway connects the castle with the Vatican, which was used by popes to get between these points. Walk on the Bridge Sant Angelo and examine angels by Gian Lorenzo Bernini and his students. Visit papal apartments inside the Castel Sant Angelo, prisoner cellars, and halls of the fortress. Admire colonnaded Saint Peter's Square in the Vatican with its works of art and neighboring Basilica of Saint Peter. An expert art historian leading the guided tour. "This is a tour for those who enjoy engineering and militarily defending a site." "I definetely recommend this tour!" If you are interested in military engineering and grand structures, you should consider booking the tour. Fans of art and people willing to learn more about Bernini's genius are highly recommended to book the activity. History buffs also enjoy the tour since the story spans the period from the Roman to the Renaissance era.